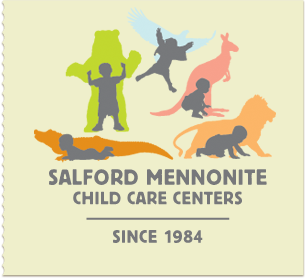 SMCCC Kindergarten Open House When: Thursday, February 23rd 2017 4:00 pm to 5:00 pm Where: Salford Mennonite Child Care Centers (Kindergarten classroom) 480 Groffs Mill Rd Harleysville, PA 194387 SMCCC welcomes families of children entering Kindergarten in the 2017-2018 school year. (Children must be 5 years old by September 1st). Ms. Caitlin, the Kindergarten Teacher, will be there to answer any questions you may have about the SMCCC Kindergarten program as well as the benefits in enrolling in a full day program. If you are interested in attending please RSVP to kindergarten@salfordmc.org.